The all-rounder will next be in action on February 6th in the first T20I against the same opponents. Indian Head Coach Ravi Shastri continues to have a huge smile on his face as his troops registered yet another tremendous series win. Against a tough-looking New Zealand side, Team India managed to romp home 4-1 and proved they can be equally good away from home. They now aim for the T20I series win, which has been a hard nut to crack for them against New Zealand in particular over the years. 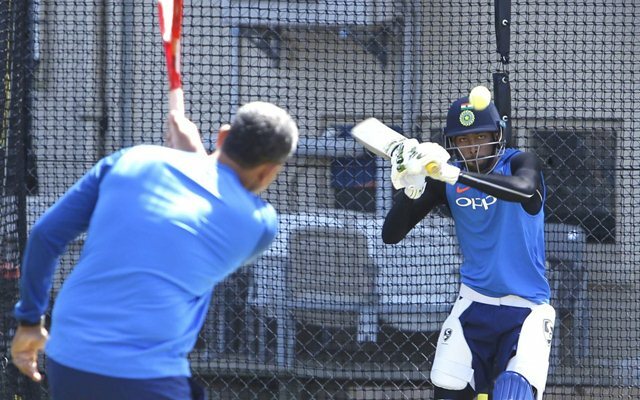 Yet, there are plenty of positives for them heading into the 3-match T20I series, the most important one being Hardik Pandya and his come back with a bang. After all the criticism, suspension surrounding his talk show appearance, Pandya produced a blistering knock on Sunday, which set social media on fire. He also collected a couple of important wickets with the ball, announcing his return in style. Ravi Shastri was mighty pleased to see the youngster hit his way back. It has been a rough one month for Pandya, but today’s knock was a clear indication that all it matters to the fans is how they perform on the field. The 56-year-old expressed his elation after Pandya’s stupendous display and termed him a “Natural talent” and “Match winner”. “And it was great to see Hardik, the way he came back. He’s a natural talent, he is a match-winner. And he showed what he can do today with the bat. Those 20-30 runs made all the difference today,” Shastri told Star Sports after the fifth ODI. The middle order conundrum has been a massive concern from a long time for Team India. However, the likes of Kedar Jadhav, Pandya, Vijay Shankar and Ambati Rayudu passed the test with reliable knocks against the Kiwis. It indicates that they do have enough options to pick from and they are players who have answers to the questions. Although there were some clouds of ambiguity over his involvement in the World Cup, Pandya made his intentions and priorities clear. The all-rounder will next be in action on February 6th in the first T20I against the same opponents.